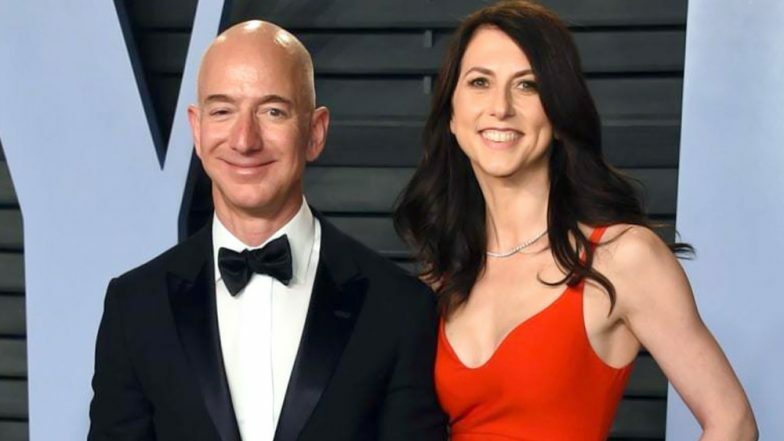 Washington, April 4: Following the divorce with husband and richest individual on earth, Jeff Bezos, his former wife MacKenzie Bezos is entitled to $36 billion in the Amazon stock. 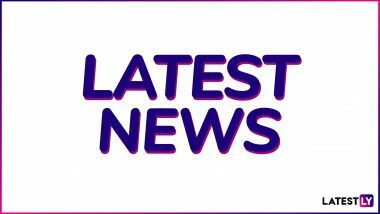 The lion's share, of 75 per cent of the total stock, will be retained Jeff, the company's CEO. The decision was announced by the now-departed couple on Twitter. In the statement, both Jeff and MacKenzie reiterated a cordial approach to end their 25-year marriage, with the latter stating that she is happy to give him 75 per cent of the stocks in a company to which he has dedicated his career. Saudi Arabia Denies Role in Amazon Founder, CEO Jeff Bezos’ Affair Leak. Apart from relinquishing the decision-making powers entirely to Jeff in the e-commerce giant, MacKenzie has also given up her stake in the leading English daily The Washington Post and their space exploration firm Blue Origin. "Grateful to have finished the process of dissolving my marriage with Jeff with support from each other and everyone who reach out to us in kindness,” MacKenzie said. "Happy to be giving him all of my interests in the Washington Post and Blue Origin, and 75% of our Amazon stock plus voting control of my shares to support his continued contributions with the teams of these incredible companies," she added. The grateful approach was reciprocated by Jeff in his statement as well, expressing his gratitude to the supportive manner in which MacKenzie dissolved her marriage with him. Jeff and MacKenzie had first announced their plan to part ways in January, shortly after a magazine had ran an explosive story detailing the Amazon chief's "love affair" with former TV anchor Lauren Sanchez. Speculations were since rife on what financial impact would Jeff suffer following the divorce. However, the lenient approach shown by his wife has ensured that the Amazon CEO continues to remain the person with the highest amount of wealth in the world.